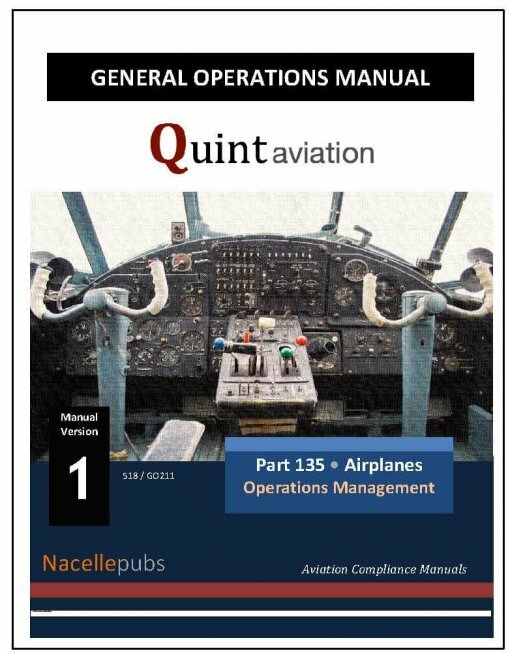 Obviously, any Part 135 operator needs a comprehensive General Operations Manual (GOM)Â that is “accepted,” not “approved.” Keep those terms in mind. We have the entire level of operations from single-engine airplanes (we have a separate General Operations ManualÂ for helicopters) on up to global operations with 10-or more passenger aircraft. Usually, we will, after your worksheet and talking with you, hid in the core documents the most advanced features so they can be resurrected in the future if you grow. This is a BIG document and an online review here or a reasonable purchase on Amazon of the full printed sample would do you well in having something to pass around before you make a decision you are bound to for many years. Besides needing a General Maintenance Manual, this General Operations ManualÂ set is designed for large and complex operations, but applies to small aircraft also. 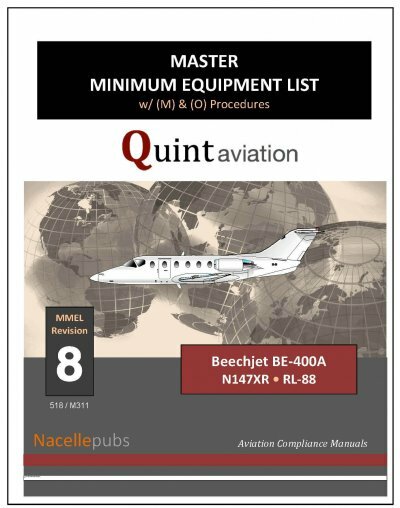 The 10 or more version, the Maintenance chapter is much smaller as so many items are referred to the General Maintenance Manual, so if you have a mixture of large and smaller aircraft the GMM comes into the picture as a clear standards document for your entire department. 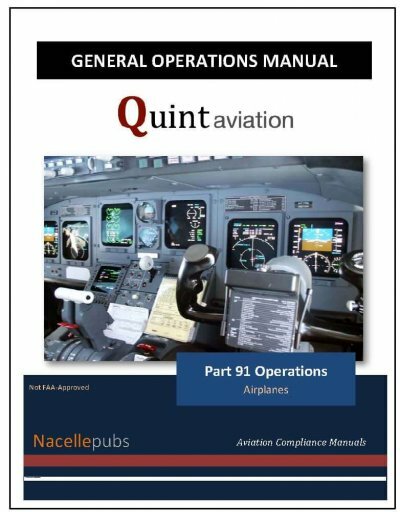 Part 135 General Operations Manual – This is a high-level, professionally driven manual that covers your flight operations, records, organization and how you will operate. 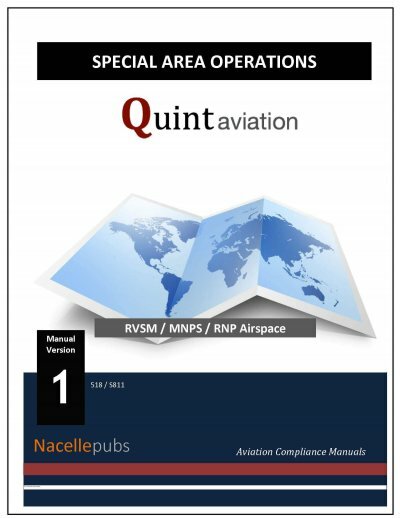 It is large and very comprehensive because it has to be, not only from an operational point of view but from a compliance and even a company legal protection view. 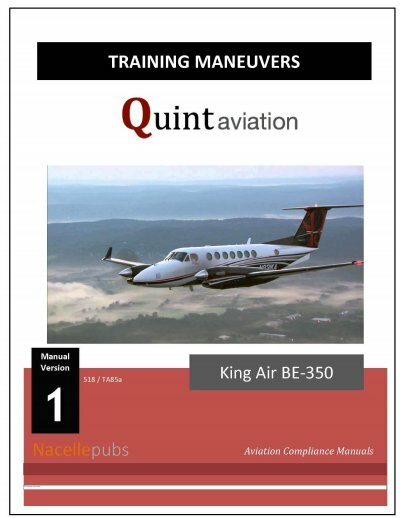 Numbering from 240 to nearly 400 pages of well-structured, well-used, best practices covering hundreds of topics.